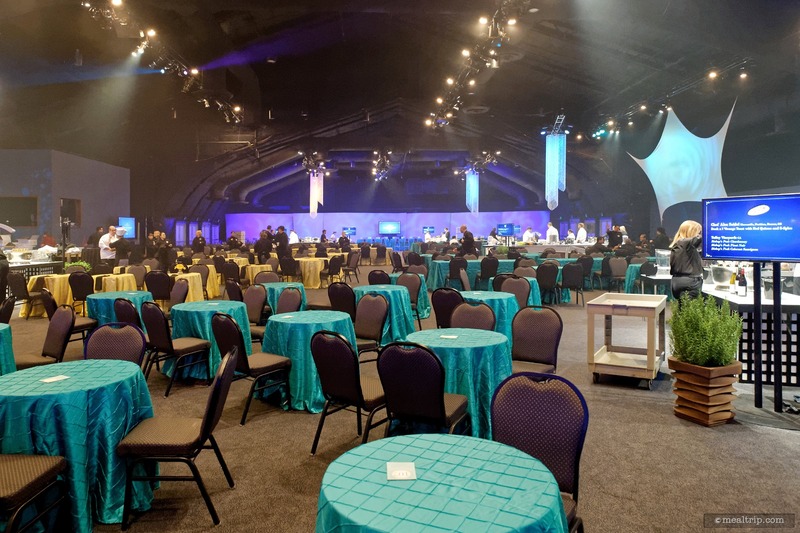 The Party for the Senses (2016 - Present) listing is a Special Event dining location at Epcot Food & Wine Event Reviews featuring American, Wine, Beer, Spirits or Beverage-based cuisine. There are 13 photos in the Mealtrip photo gallery for this location and dining period. 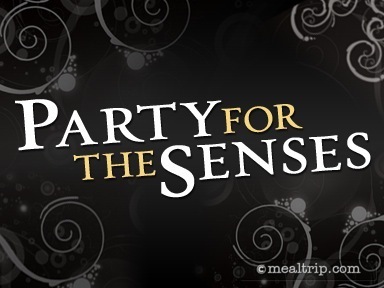 The Party for the Senses (2016 - Present) listing currently has a score of out of 100. 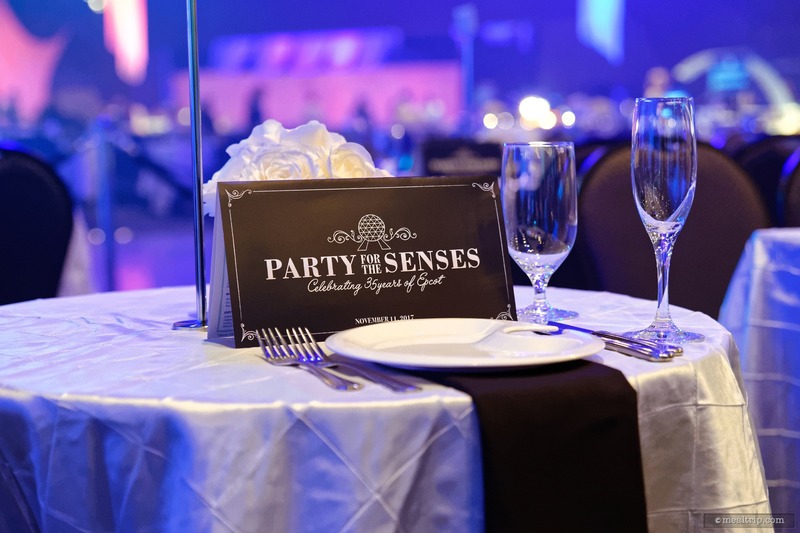 Click here to read all of the reviews for this location, or log in to Mealtrip.com to add your own review for Party for the Senses (2016 - Present). 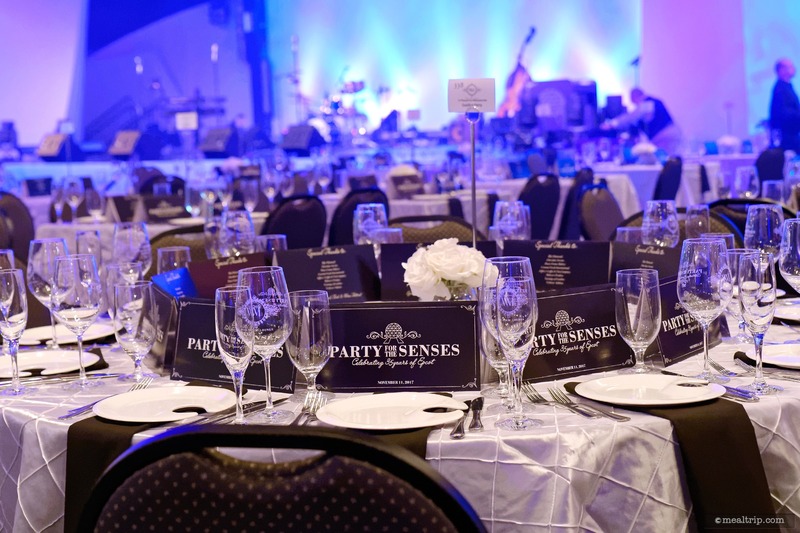 An evening at Epcot's Party for the Senses is truly a memorable "have to do it once" kind of experience. It's just so much fun. There is a "cue" or waiting area inside the building. 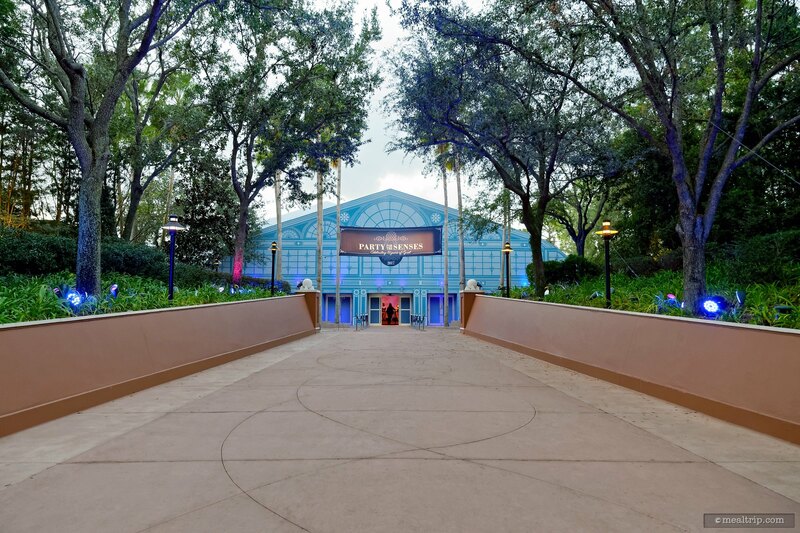 If you are sitting in the select "Wine View Lounge" area, you can gain access to the event before the general seating levels are let into the space. Once inside, everyone gets a table! Yay!!! (It didn't always used to be this way.) Small parties may not get a private table, but there's a chance you will... maybe. This is a table in the Wine View Lounge seating area. 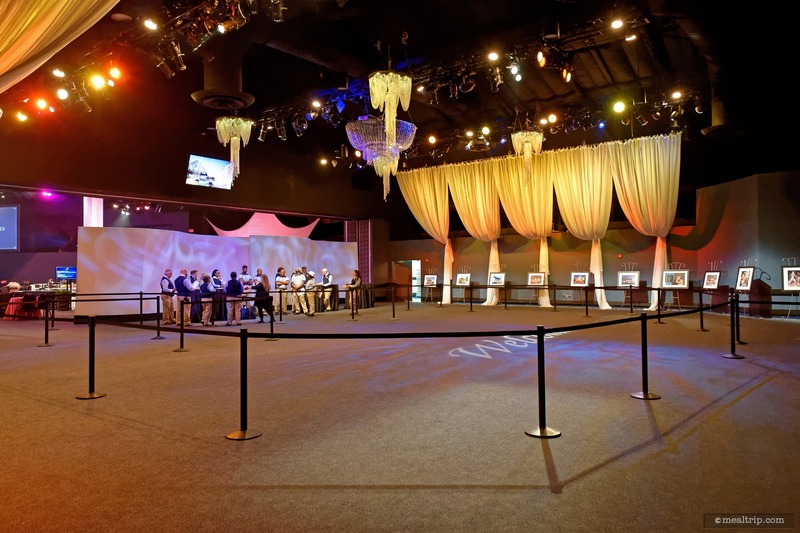 The "premium" ticket at Party for the Senses is expensive, but it's the only way to guarantee private seating. 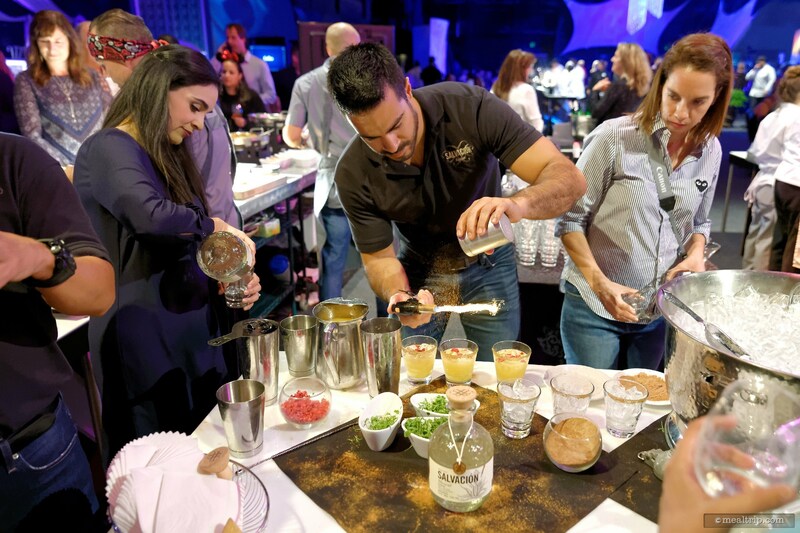 There are as many cocktails at Party for the Senses as there are small plates of food to try. Most are made as you watch! 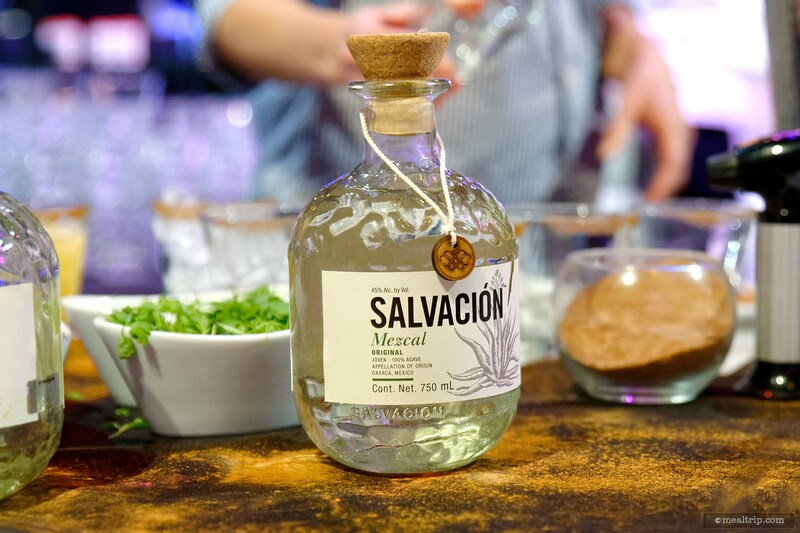 Pictured here, a Mezcal based cocktail gets a dusting of toasted cinnamon. 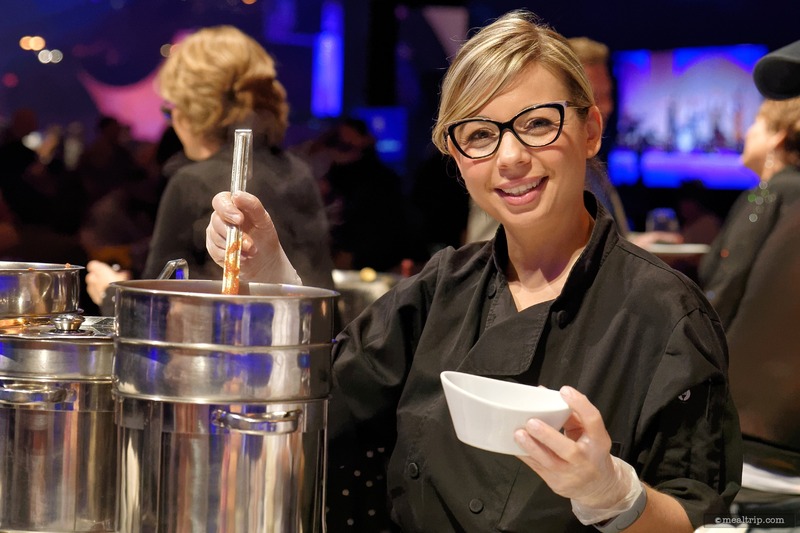 Part of the fun at Party for the Senses is getting to ask and watch as the food and beverage items are being prepared. 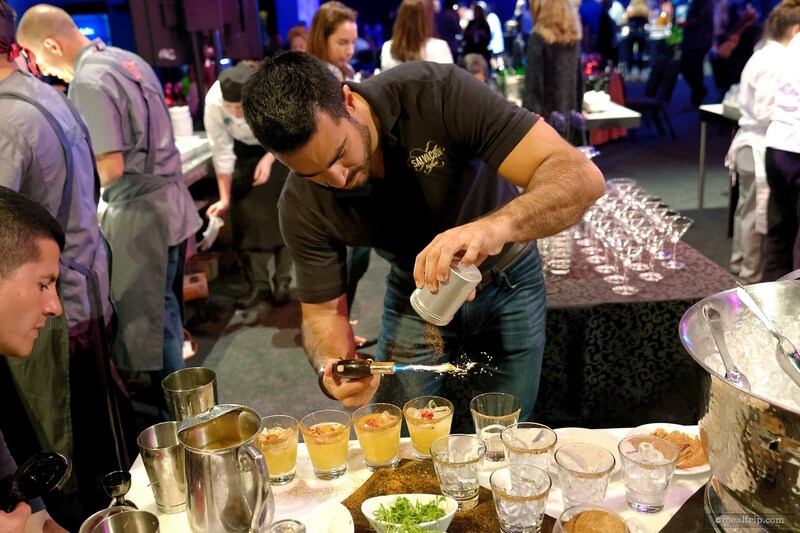 Part for the Senses provides a great opportunity to try various things that you may not have sampled before. 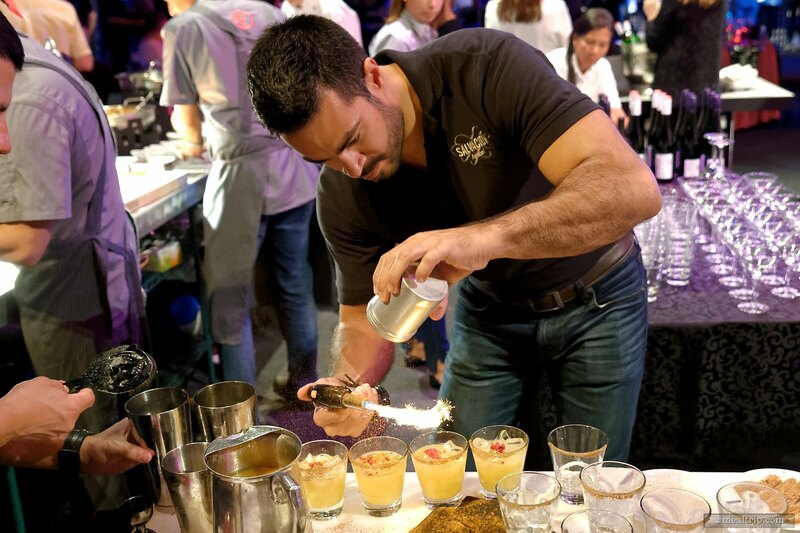 Once you're in the door, everything is complimentary, so you can sample all the cocktails and food items the party has to offer. 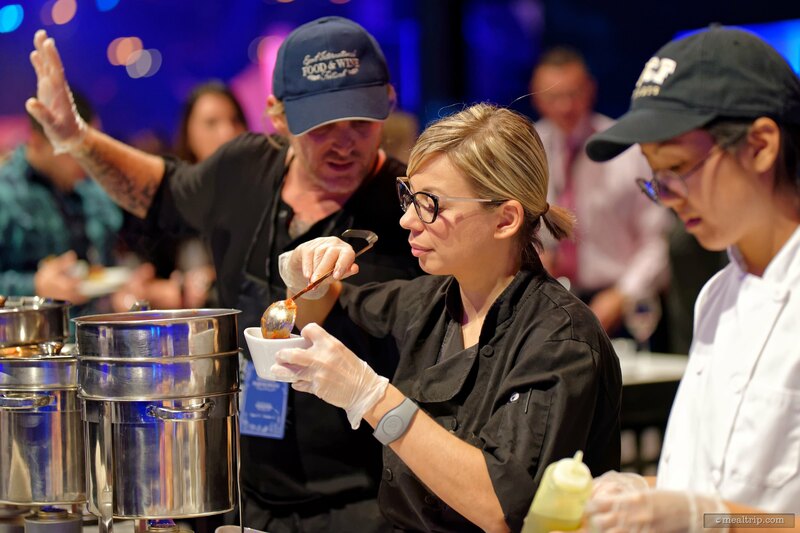 Chef Sarah Fioroni at a 2017 Party for the Senses. 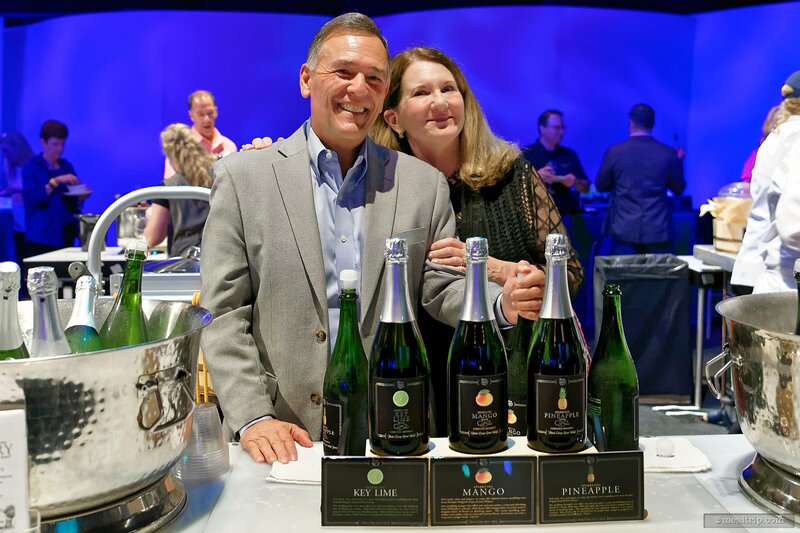 Vince Shook, President at Florida Orange Groves, Inc. and Winery was at a 2017 Party for the Senses with three different wines that are made in one of Florida's few wineries.